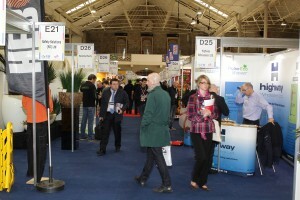 Facilities Management Ireland (FM Ireland) is back again, at the RDS, Dublin on the 8-9th March. It is a unique opportunity for all those involved and responsible for creating and maintaining retail, industrial, commercial, government buildings and facilities, to see the latest products, services and solution providers that can be of direct assistance and benefit to achieving these aims. Building off the success of last years event, visitors will have access to leading suppliers and service providers showcasing the latest in new ideas, new technologies and new solutions that can improve productivity and increase your return on investment. Whether you are looking for engineering services to comply with the new regulations on refrigerants, the latest in energy management and energy solutions, cleaning technology, asset management, security or outsourcing solutions for parts or all of your infrastructural needs FM Ireland, which incorporates Health & Safety and Fire Safety Ireland is the event for you. Maintaining the infrastructure of a business is estimated as the second highest cost for any organisation and with profit margins still being squeezed a euro saved is more valuable than ever. The challenge is how best to achieve this for your organisation. Knowing which specialists to call in, which products to use, who to take on as a partner or contractor is key. Whilst you may not be getting hands-on yourself, understanding what’s involved so you can make informed judgements on quality, service and cost-effectiveness. Whether you are looking to improve your aspects linked to health & safety, fire safety, best practice in fall and arrest procedure or sourcing new suppliers or new products, at FM Ireland, you can see everyone and everything you need to put your strategies into effect and make the decisions that lead to greater efficiency, return on investment and value for money. The largest of its kind in Ireland, the FREE exhibition brings together suppliers, consultants and service providers. It’s your chance to research products and services, make contacts and find solutions to practical management problems. You know things can always be done better: here’s where you’ll find the people, products and practices to make it happen. Whilst attendance to FM Ireland (Inc. Health and Safety Ireland and Fire and Safety Ireland) is free, we recommend that you register online. Visit www.fmireland.com where you can see the latest information. Alternatively you can contact the organisers on +44 1892 518877 or email fmireland@stepex.com.